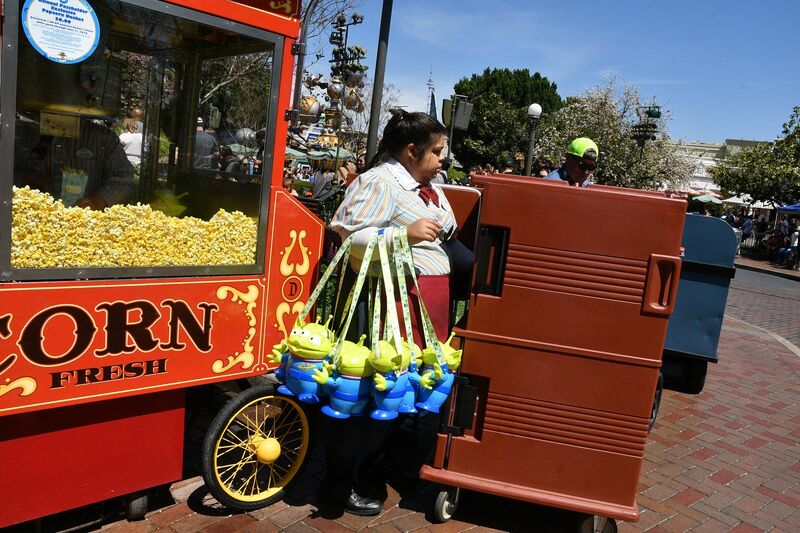 Today they introduced new Annual Pass refillable Alien Popcorn buckets. Lines were very long, with wait times of 45-60 minutes. $20 each. Last edited by Disneyland 1951; 04-24-2018, 05:02 PM. Yeah, got ours today in DCA, thankfully we got in line early! 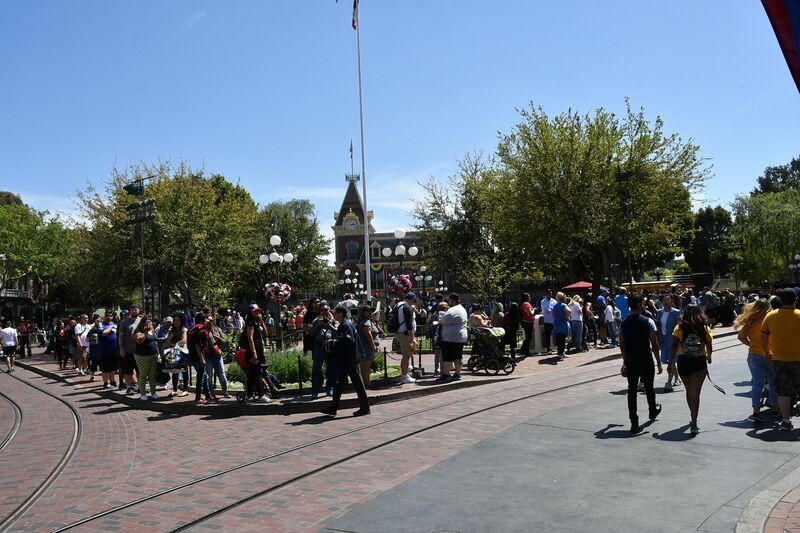 The wait times at DCA were two hours at both Buena Vista Street and Grizzly Airfield. The did not die down when I left at 6pm. Two hour wait for popcorn!? That better be the best damn popcorn in the history of the world! Disney creating magic and unnecessary demands for plastic!!!! and when do the buckets on sale -on E-BAY ? “Waiting for the fish to bite or waiting for wind to fly a kite. Or waiting around for Friday night . . . .
Last edited by Eagleman; 04-25-2018, 05:24 PM. You can have this one for only $96.89 delivered. It's not because all those APs wanted a souvenir. 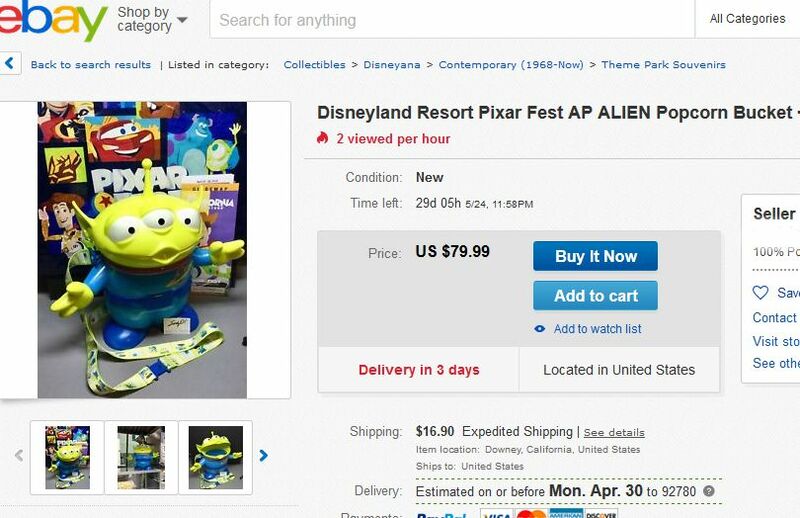 They stood in line for two hours to make a mockery of Disney by selling them on Ebay. I hope they made enough money to line the gutter the live in with fur. Last edited by Natalie Price; 04-25-2018, 07:49 PM. some just got back in line all day ....for e-bay sale! At least it kept people out of line for actual attractions. What a joke. I'm not sure why these become a craze but more power to Disney for realizing how to create "demand" for this but short supplying them. I have the AT-AT one which was very cool! Classic example of why our existence is doomed. Shame on the people who waited 2 hours and paid $20 for a 25-cent piece of plastic that will go on the shelf and lose its appeal in a few months; shame on the people who hawk it on Ebay for 4x the price and those who actually buy it; and shame on the AP holders (aka locals) who clog our parks like the city's shopping mall to get them. Are you complaining about crowds, because this just gives Disney more incentive to herd you like cattle and get you paying inflated prices for crappy services. Stop feeding the lion! Last edited by HiddenMickey87; 04-26-2018, 04:19 PM. 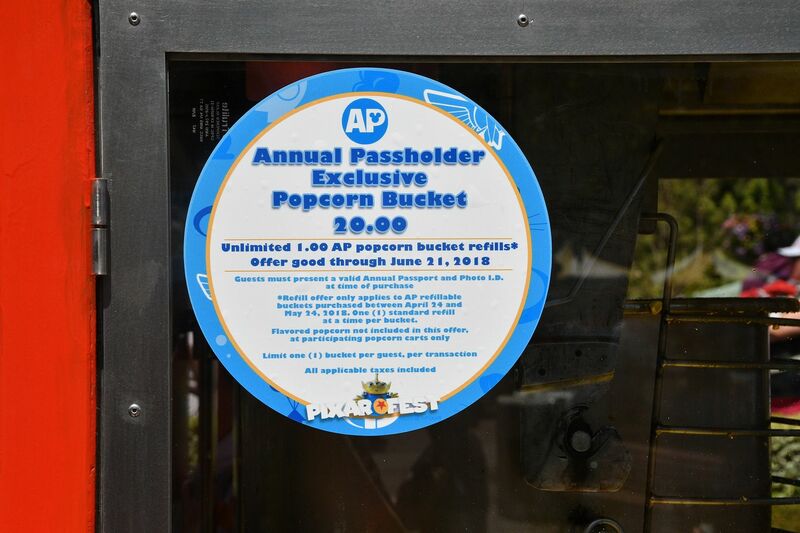 Shame on the people who waited 2 hours and paid $20 for a 25-cent piece of plastic that will go on the shelf and lose its appeal in a few months; shame on the people who hawk it on ebay for 4x the price and those who actually buy it; and shame on the ap holders (aka locals) who clog our parks like the city's shopping mall to get them. Are you complaining about crowds, but this just gives disney more incentive to herd you like cattle and get you paying inflated prices who crappy services. Stop feeding the lion! Local APs...the heart of the problem at the resort.